Ironically, one of the first players I ran into at the Peoria Sports Complex Sunday was Stefen Romero. That was at 10 a.m. Five hours later he blasted a 3-run, walk-off homer to help the Mariners defeat Oakland’s split squad club, 6-4. It has been a year since I had seen Stefen last, and I have to say he is in the best shape I’ve ever seen him. He says he is healthy and these spring training numbers show it as that was his third homer. Romero’s bat could be a huge charge in Seattle’s lineup. 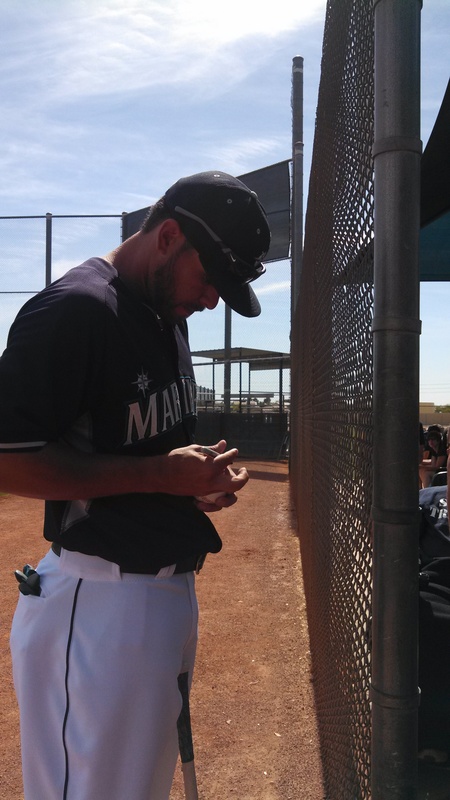 Stefen Romero signing autographs after batting practice Sunday. Most of the day was spent on the back fields and watching several future Generals. The following were the lineups today for the suede Jackson and Tacoma squads. 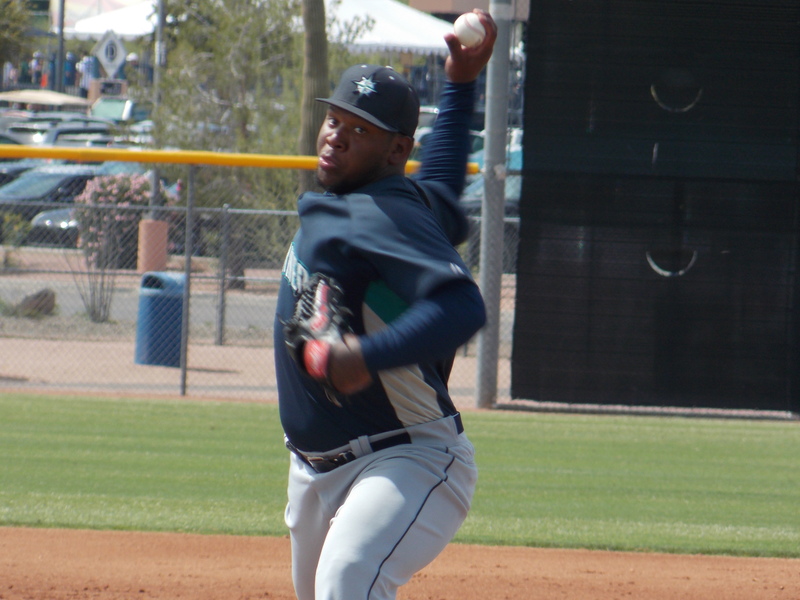 Victor Sanchez on Sunday against Padres AA club. Victor Sanchez is a beast. He is listed at 6-0, 255 which could be accurate I suppose, but he looks like he could play full back for the Seahawks. Sanchez is just 19 years old. His line today was 4 IP, 1 run, 2 hits, 3 K’s, no walks and somewhere around 50 pitches. He passed the eye test and was around 88-91 when I asked the guys charting pitches. He works extremely fast and pounds the strike zone. What more could you ask for? He does feature a little bit of that Felix twist on his delivery. His changeup had opposing hitters off balance and I cannot remember a three-ball count. It seems he may start the year in Jackson. Tyler Pike and Edwin Diaz are not far behind. D.J. Peterson can flat out rake. While I was watching the AA game, he was 1-for-2 with a broken bat single, but watching him in batting practice, he looks the part. He still wears the protective face guard to protect his jaw from when he got he by the pitch last year in Clinton. It seems as though Peterson may open the season in High Desert because of numbers, but his time there will be short. Speaking of beginning the season in High Desert, the same could go for Patrick Kivlehan. He blasted an impressive opposite field home run early in the game. No doubt he and Peterson will be in Jackson together at some point, but with Morla, Proscia, Choi, Poythress, Paolini, etc. it may take a little extra time. I could be wrong though. We will see. One other pitcher that stuck out Sunday was Jochi Ogando, who is listed at 6-5, 210 and seems much taller due to being pretty lanky. He is just 20-years-old and from the Dominican. He threw a couple of nice innings and was in the mid-90’s with the fastball and a nifty 12-6 hook. He had great strikeout totals in Clinton last year. That is a name to keep an eye on. Chris Gwynn indeed confimed it was official news that Mike Kinkade will be Jackson’s hitting coach. Kinkade was going to be the hitting coach in Low-A Clinton, but will now be in Jackson. 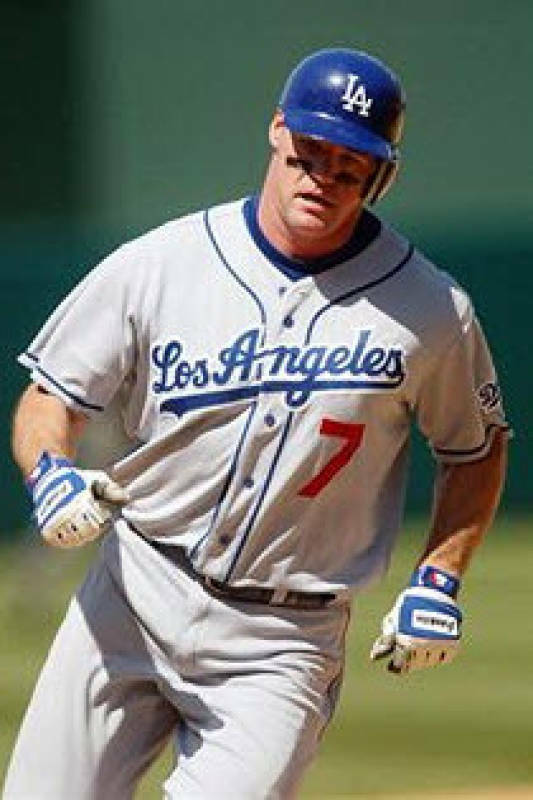 He played parts of six seasons in the Major Leagues from 1998 through 2003 as a utility player, including stints with the Mets (1998-1999), Orioles (2001), and Dodgers (2002-2003). He joined the Mariners as a coach in 2011 as a manager with Everett. 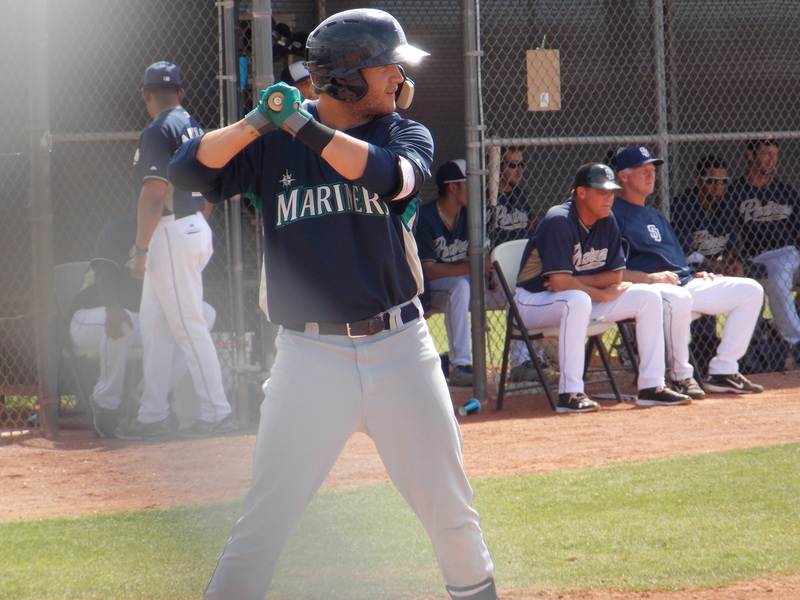 He finished up his playing career with Tacoma in 2008. 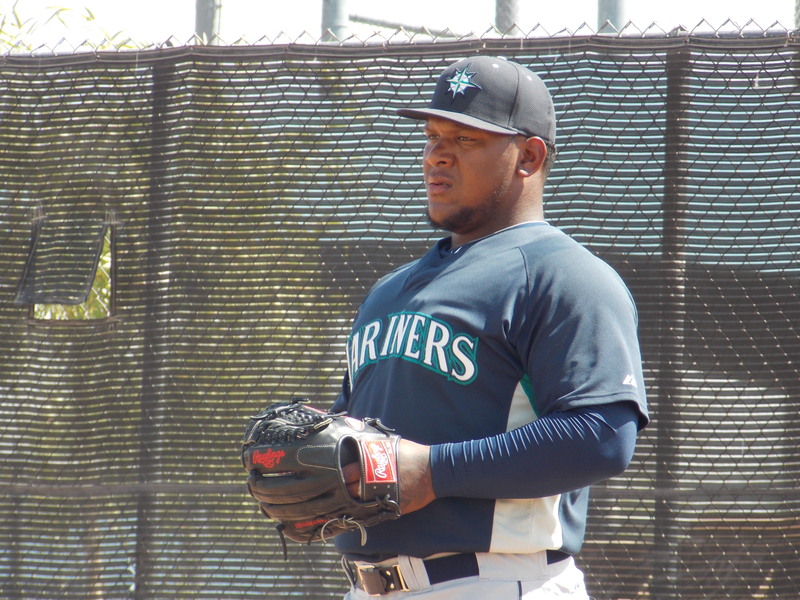 Tomorrow I will have more from Mariners camp and likely take in the big league game against the White Sox. Opening day is just 10 days away for the Generals.